“Don’t think you are better than or know more than others,” advises Aksel Sandemose, founder of the law of Jante. Danes stay true to the concept that everyone has the same rights, privileges and advantages, so this outlook results in an easy-going attitude. Copenhagen is a lovely city with a wonderful atmosphere. Visitors feel relaxed as they mingle with people of various backgrounds and ‘see’ the Danes up close and personal. The locals are always willing to assist with practical information and most speak English fluently, so there are no barriers to communication. So what’s free in Copenhagen? Loads of cultural offerings. The City is relatively small, so it is easily accessible by bus, train, metro, car, bicycle or on foot. The National Museum, which boasts the best art collection in Scandinavia, is open every day with free admission daily. Many other museums have free admission on certain days. 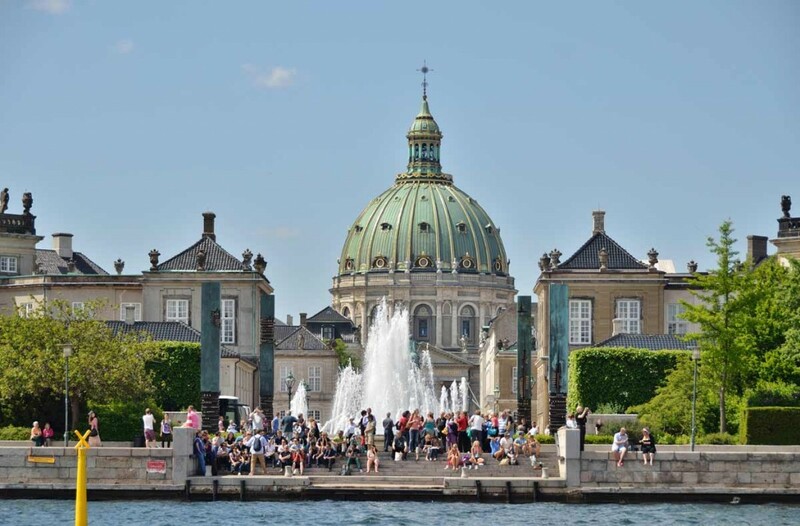 For example, Ny Carlsberg Glyptoteket Art Museum is free on Sundays, and viewing of the permanent exhibitions at the National Gallery of Denmark is free. Take a trip to Nyhavn, a scenic spot at the end of the walking street at Kongens Nytorv. Take many pictures near the brightly coloured houses and lovely boats moored by the canal. 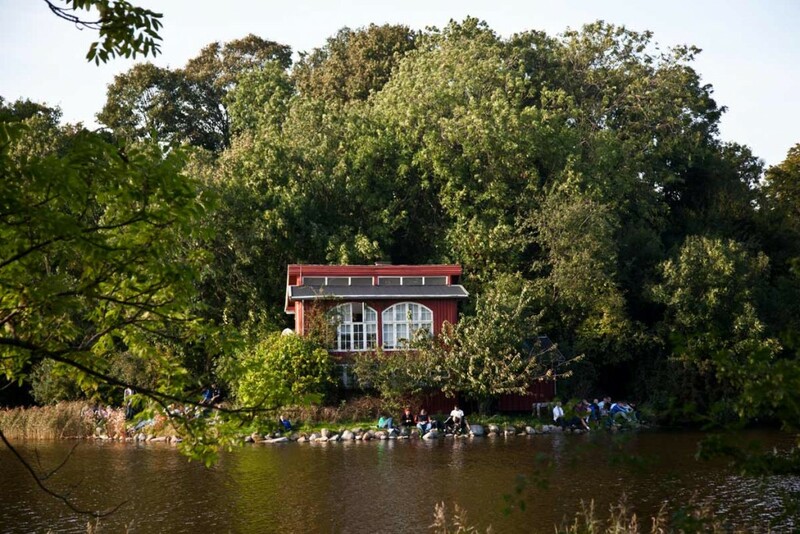 Stroll through the Botanical Gardens near Nørreport Station and view the vast of array of flora and fauna. Afterwards, enjoy a bit of history when you visit Bakken, Denmark’s oldest Amusement Park. There are free guided tours in Copenhagen. One starts in the lobby of Danhostel Copenhagen City every morning and others start at City Hall. When you have to go…you will find free clean, modern toilets in places such as Nørreport train station, on the walking street near the fountain, Vesterbros Torv, close to the Central Station, and one on the square at City Hall, (Rådhuspladsen). 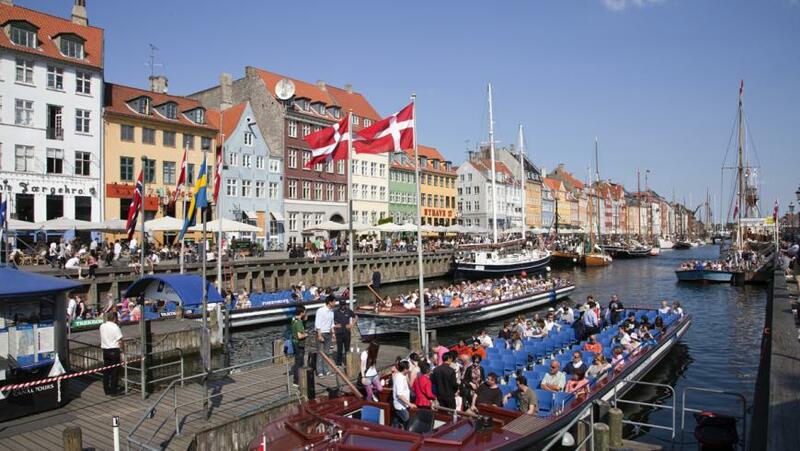 Take a guided canal tour and get to know more about Copenhagen. The boat sails by landmarks such as Børsen (Danish Foreign Exchange), Christiansborg (Parliament), Royal Danish Playhouse, The Little Mermaid, the Opera House, and Christiania, one of Denmark’s most controversial locations. Visit Tivoli Amusement Park and choose which rides you prefer, or just enjoy a tour of the beautifully manicured grounds. Walking or biking is the best way to see the city. 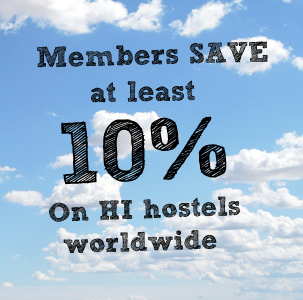 Rent a bike near the Central Station and go on a city tour, or use buses, trains, metro and harbour buses. The same ticket is valid for all public transport. Purchase tickets at Copenhagen Airport, online, using the free APP, via smartphone, on buses, at 7-11 kiosks, at metro stations, or at any DSB ticket office. 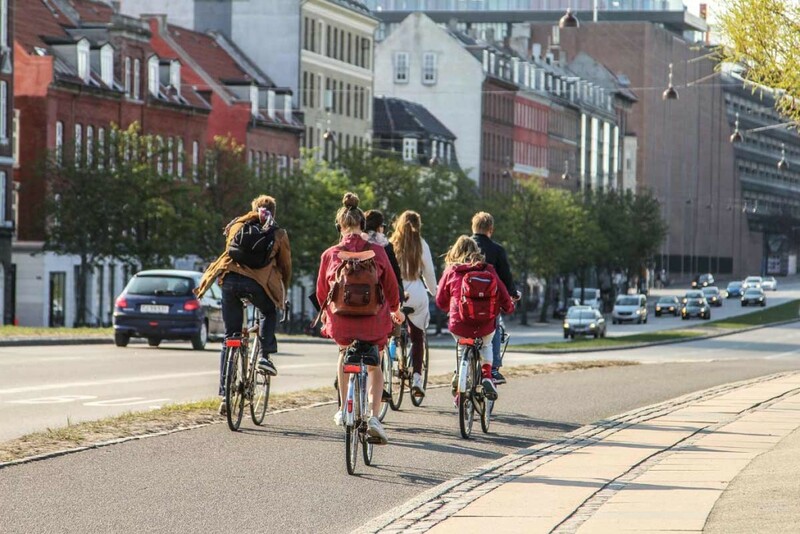 Check out the City Pass, Copenhagen Card, 24-hour tickets, or single tickets, and remember that a valid ticket can save you from a hefty fine. Fast food restaurants are all over the city and various cuisines are readily available. A shawarma during lunch hours will not break the bank. Try a Danish favourite, Smørrebrød, an open-face sandwich made of buttered rye bread garnished/decorated with various toppings. Meals are even better when topped off with a slice or two of Danish layer cake or the Danish pastries weinerbrød and spanduaer. 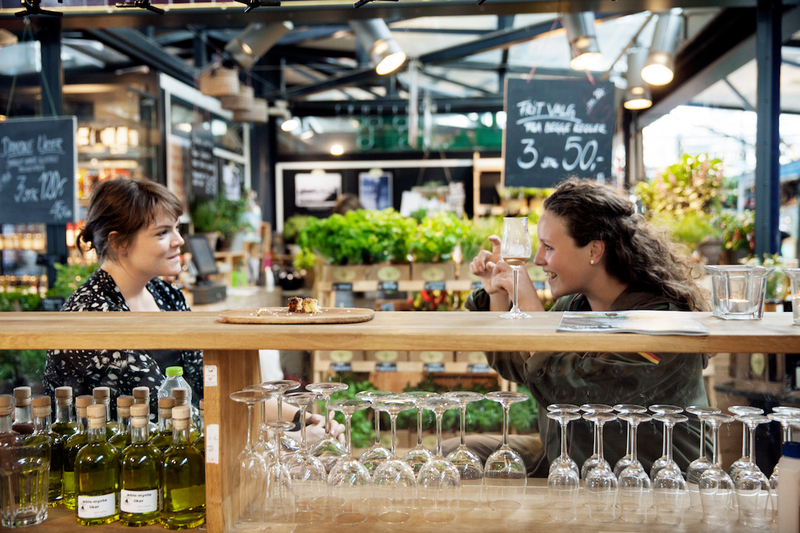 Torvehallerne, an exciting location, near Nørreport station, sells some of Denmark’s best delights such as cheeses, teas, seafood, herbs, spices and organic products. The famous flødebøller, a delicious treat of chocolate covered meringue is worth a taste. While taking in a movie at Palads Theatre, visit their lounge, and enjoy coffee and cake for only 20 DKK and hot chocolate for 15 DKK.